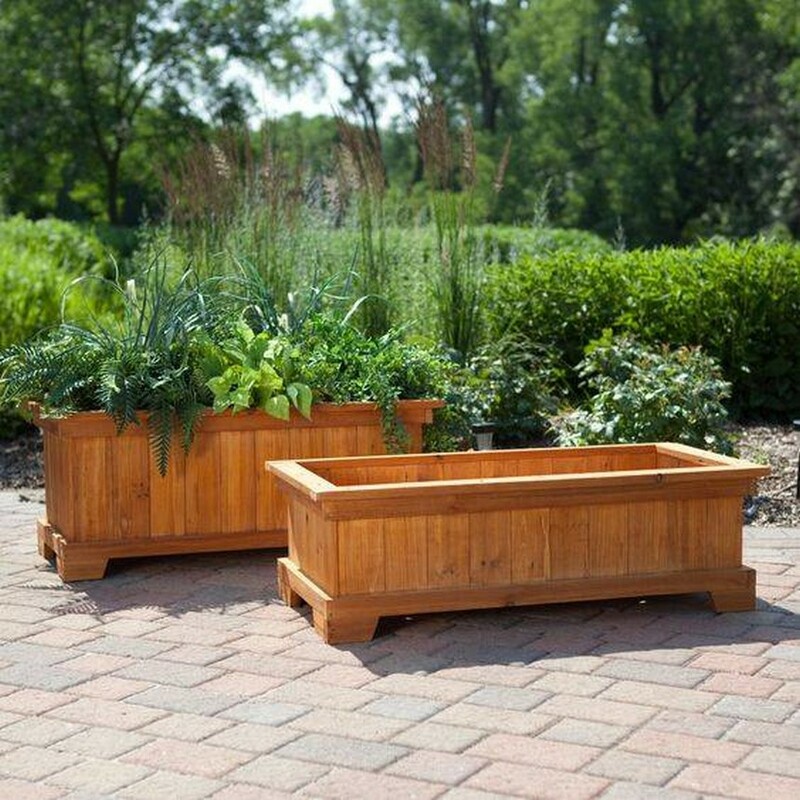 Whoever among you is the regular surfer of this forum, he or she must be aware of the fact that prior to this range of raised beds we have introduced some countless wood pallet made raised gardens, vertical and horizontal gardens and planters. We also tried making them with various other materials including concrete and a couple of others. 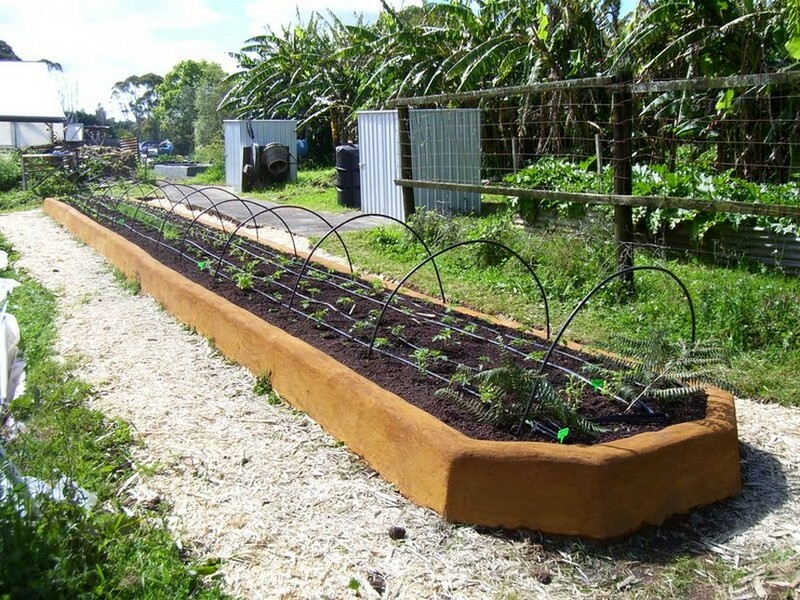 This time we have come up with a whole long comprehensive range of the 30 plus ideas for raised garden beds. I don’t think that the importance of the raised garden beds should be elaborated first because all of you are pretty familiar with that. 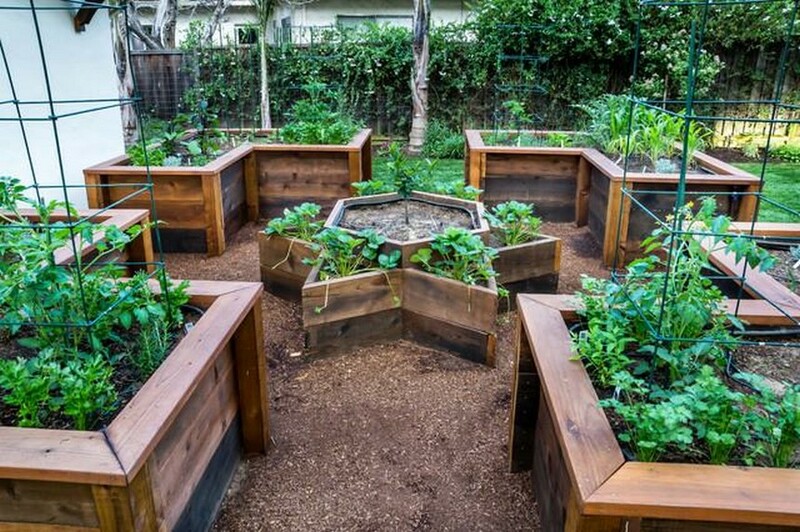 The very first raised garden is mainly made with the wood material. We always prefer using the wood pallet for such creations as that is a perfect substitute of the market based timber and we have a campaign running too to replace that wood with the shipping wood pallet. 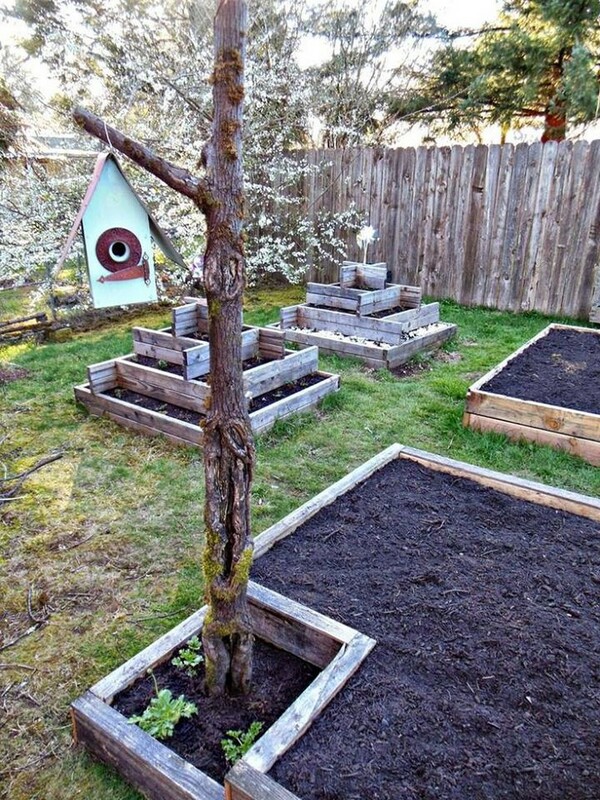 This one is one of the simplest raised garden beds that is all made suing the wood pallet all around. 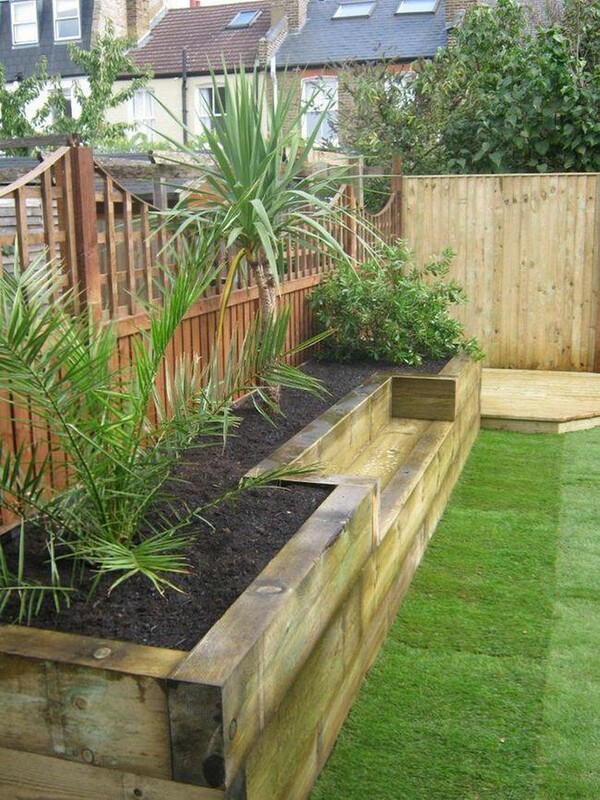 Other than that we have also used the cane pieces in the corners and centre joints of the raised garden bed to enhance its outlook and beauty. While this one is totally different from the last. Although the purpose is same again, but this time we have employed a material that is completely different. We have opted for these stylish concrete boxes in the entire process. 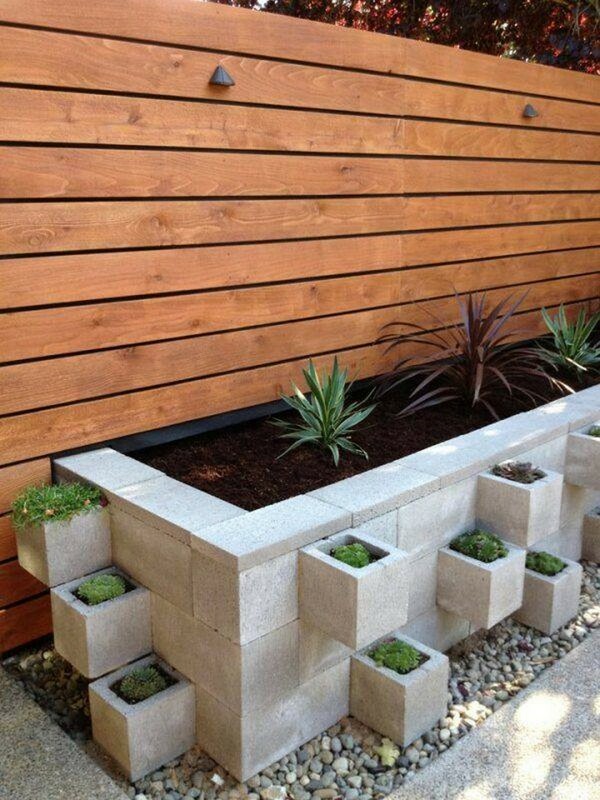 The tiny extensions of squared concrete boxes all around has added a lot to the beauty of this specific project. Now this one seems to be inspired from that professional sort of raised gardens that we usually see in the professional agricultural research institutes as it is covered in a very perfect manner allowing a controlled supply of sunlight. Same squared concrete tiny boxes are used here again but this time the design and pattern is completely different all along. 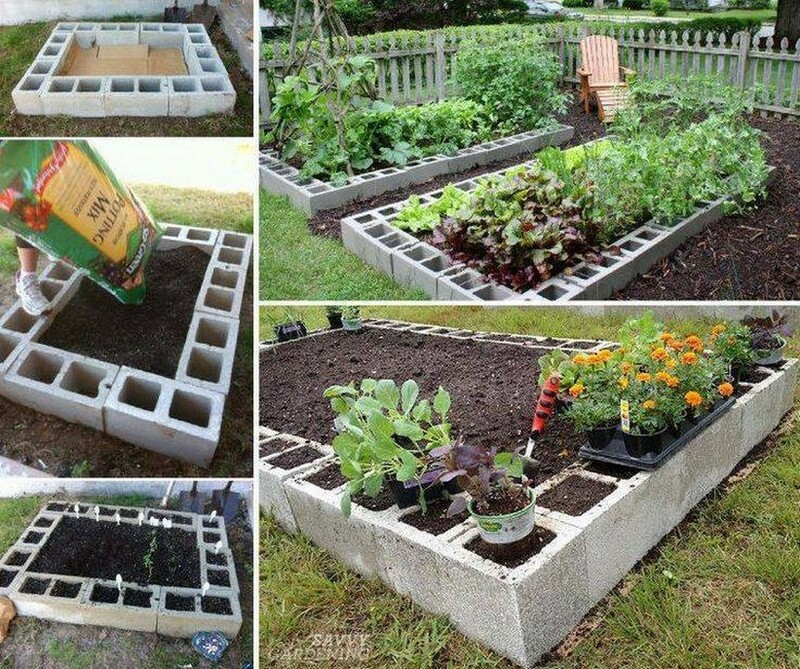 Each box individually would make one separate unit of a planter, and in the middle there is a wide generic space for some larger plantation. 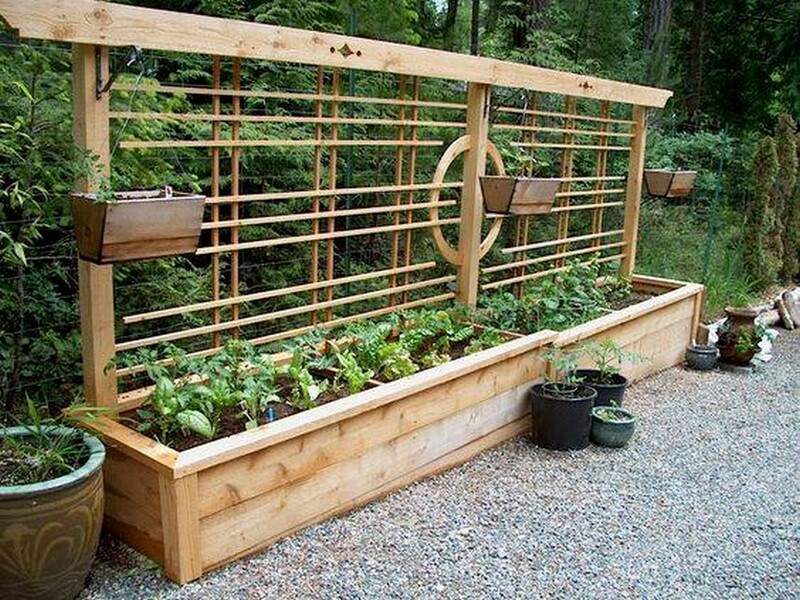 The best thing about this raised garden is the beauty of this one as its rounded corners has made it look a perfect wooden beauty along with its whole usefulness. Plus we also did a lot of work on the surroundings to make the entire view worth seeing and this really worked. 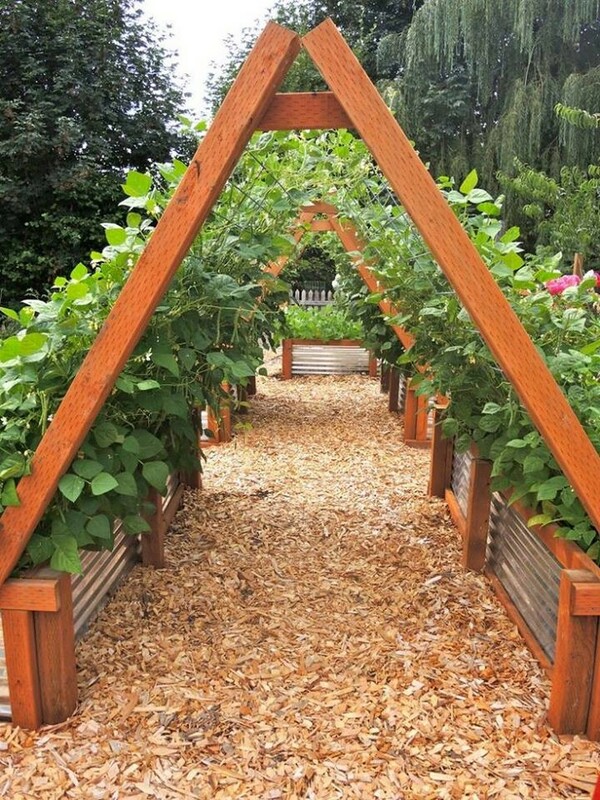 This raised garden is similar to one of the earlier raised garden beds. The area is all enclosed with same pallet wooden boundary, and in the higher tiers we have used the metallic fencing which is another good substitute. In this way we have confined it to a certain limit. 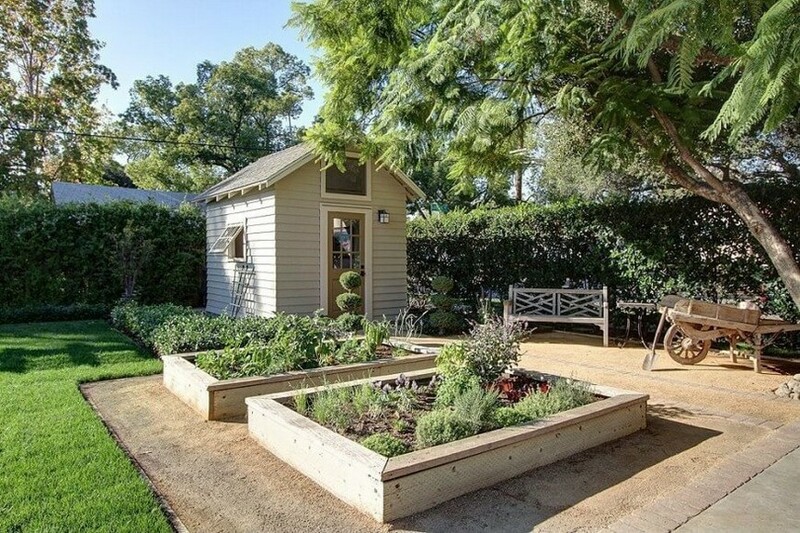 This is some extra long raised garden bed probably made by some fanatic artist. And to add to your astonishment, this whole enclosed area is made with dried clay completely. Then we used these iron lengths that were twisted and rounded off, and an outer line of metallic wires to confine the growth of plants to the inner area only. 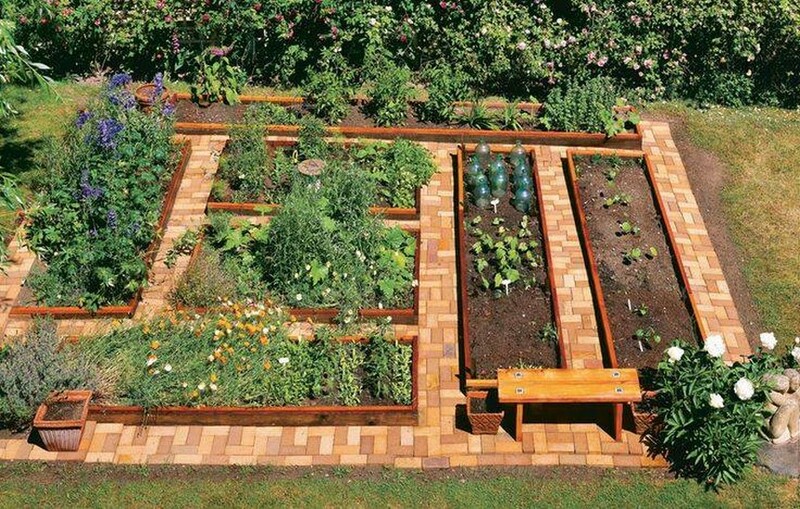 Now this is a typical sort of wooden pallet made raised garden. The height of the box is bigger than the normal. 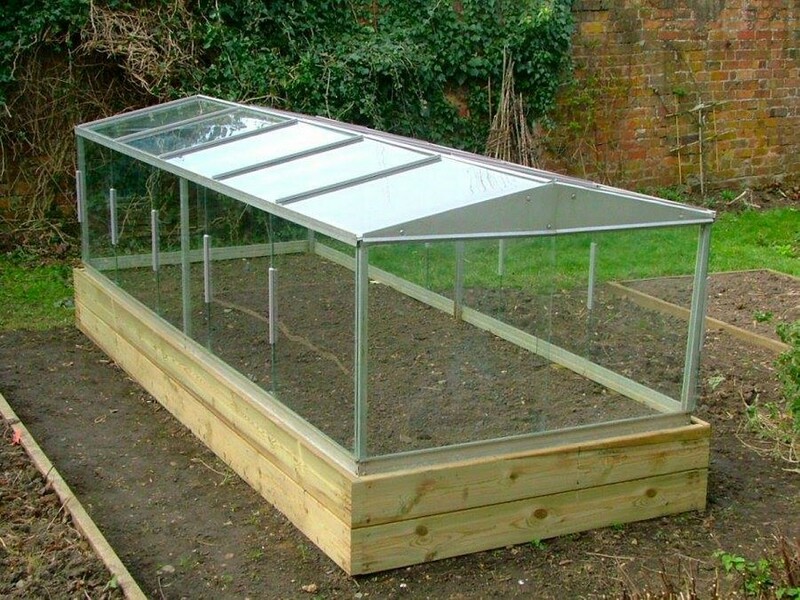 Plus it has got attached with it the removable doors which are certainly fixed to control several factors that affect the growth of certain herbs and shrubs. 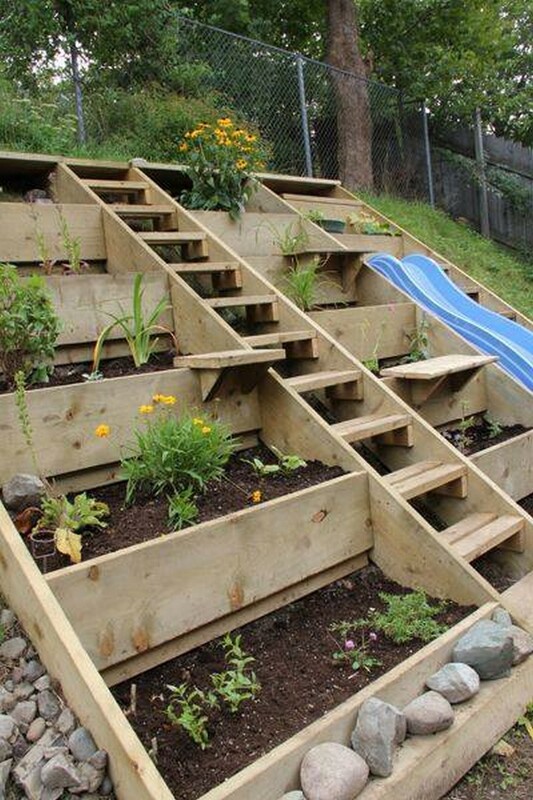 And this is not a mere wooden raised garden bed but I would say it is rather a full fledge garden décor idea too. Other than the main plantation box it has got pretty high wooden walls made with slim wooden lengths. If you are inspired from this sort of shaped wooden creations you have always got the option right at your disposal to mold the pallet plank lengths into these shapes. The thing that must be considered here is that whole project is the pure creation of the shipping pallets. 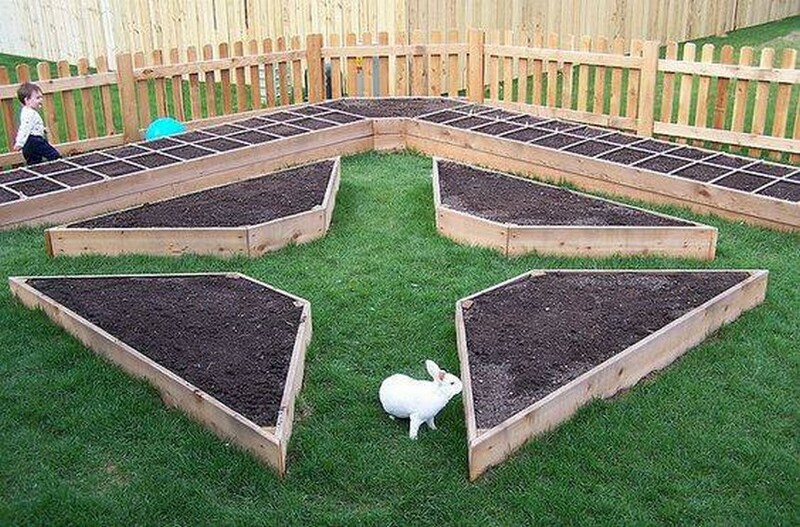 Well, apparently it seems like a complex pattern of a raised garden bed. If we ponder upon it we realize that the plastic bottles are placed throughout the lengths of the garden, differently sized bottles are cut in a certain way to carry the quantities of fresh clay. 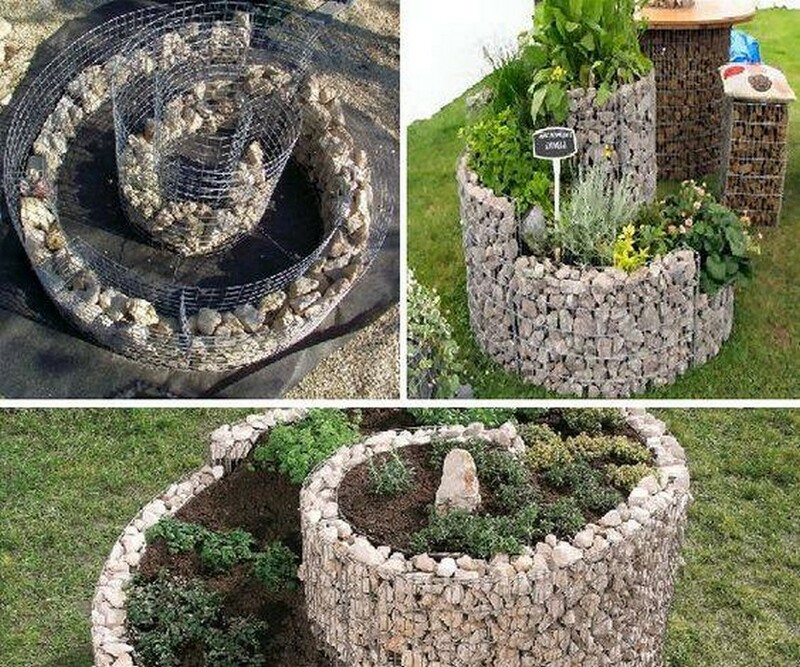 Now this is something that could be a bit tiring for you and it needs a team work made effortlessly for hours or maybe days because here we have made these curvy round patterns purely with mountainous rocks and pebbles. And then they are wrapped into the thick metallic fencing. Don’t get confused with this one rather focus on the main structure. We have actually made these straight passages made with the cut to size wood pallet planks, and right inside them we have spared empty spaces for the filling of clay. 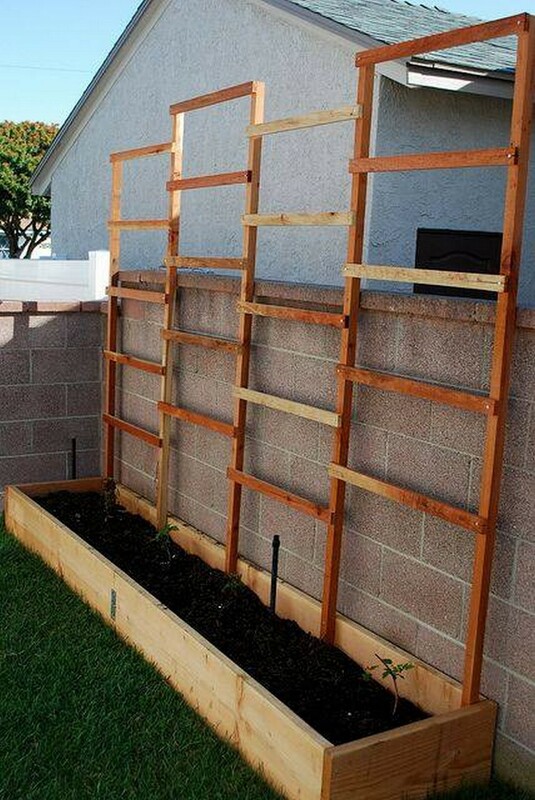 So this in a way is an easy and artistic raised wooden pallet garden bed. Despite of the distant view I am sure that the ones who are real artists from their heart and soul can judge that here we have used simple regular bricks made of clay. But obviously the pattern is slightly different negating those old fashioned enclosures. For this one I guess no hard procedures were needed except some basic skill of the wood work as the whole project is made with the fresh shipping pallets. But the pattern of walls is quite artistic which follows the wooden slab one on another in a slightly tilted posture. 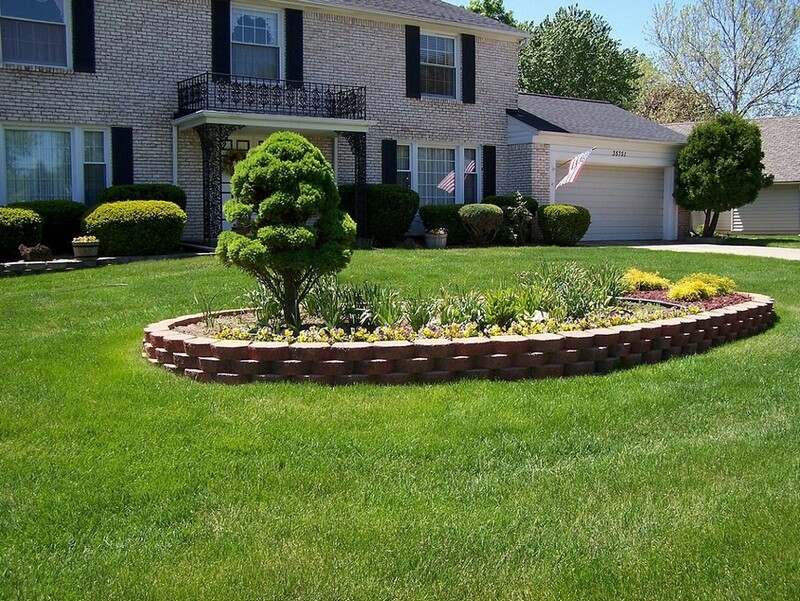 This is a common design that is mostly followed when you need something as the garden décor idea and also as a fully practical raised garden. Here we complete the base tier first, and later on keep building the rest one on another and the size keep squeezing in every next tier. This seems like the staircase of some huge stadium. 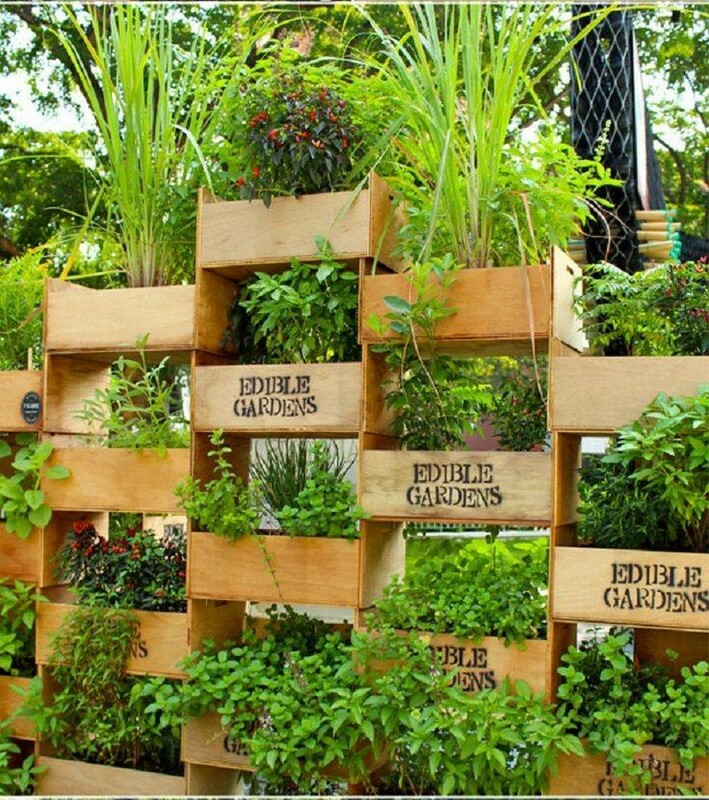 This is actually a wooden pallet made raised garden built inside a huge green landscape. One thing that must be discussed that this much and gigantic structure couldn’t be possible with regularly sized shipping pallets so we used the extra large shipping pallets this time. If we talk about this inspiration, it involves many procedures where only wood work is not involved. 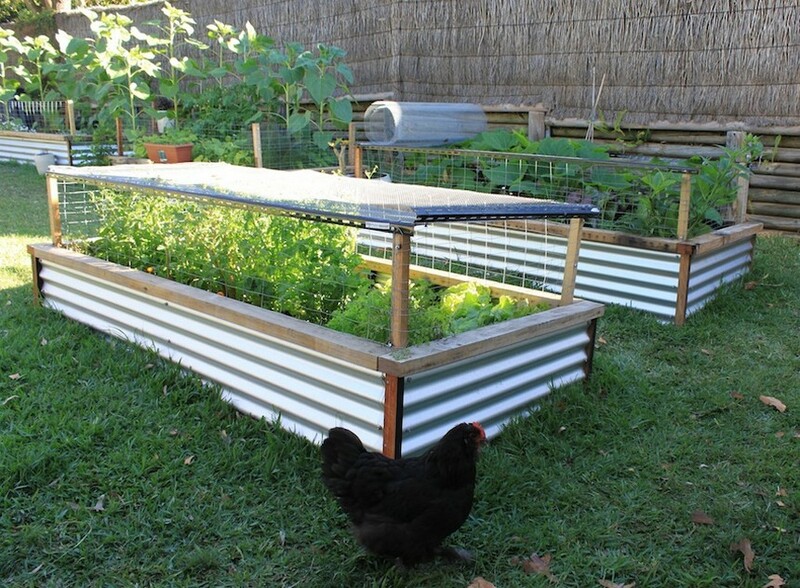 We also see the metallic pipe lengths covering the upper portion and roof top of raised garden bed. And the empty areas are filled with transparent glass lengths. 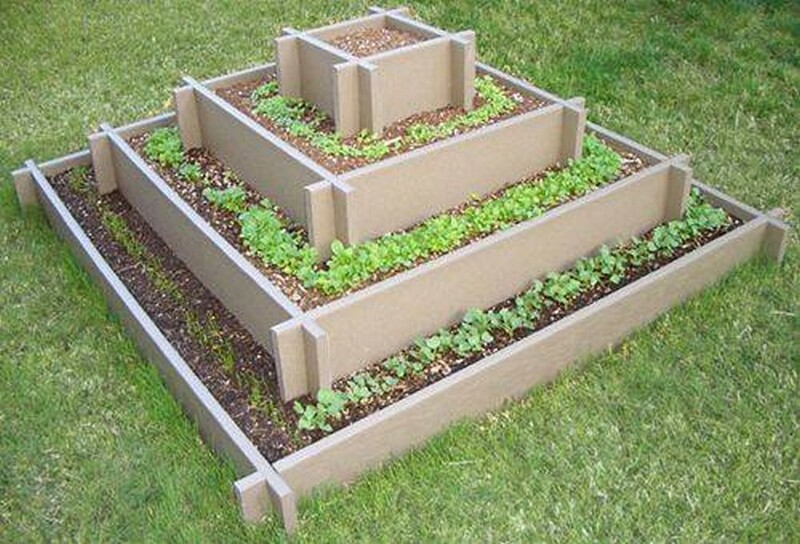 These raised gardens are really solid. The solid literally mean that here we have used the concrete boundaries filled with the huge rocks and stones. This was done with an intention to give it an artistic look. This is a small planter land that is dedicated to the plantation inside the green landscape. If you ask me that why exactly we added these wooden poles and brackets along the wall? The answer would be simple, just for the decoration and beautification purpose. This would have been complete otherwise too, but these tall brackets would enhance the prominence. And this is something really my type I would say. 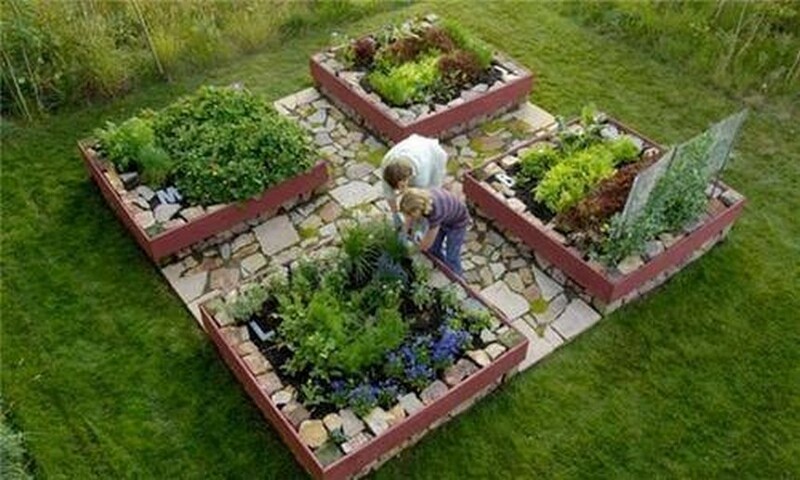 The star shaped raised wooden pallet garden in the middle, and the L shaped gardens on all four sides. They are really raised enough to be named as the raised gardens. But it would certainly involve a lot of work and supplies. What about this one? This is made of wood that was actually obtained from the wooden fruit crates. Infact here we have placed them as whole. 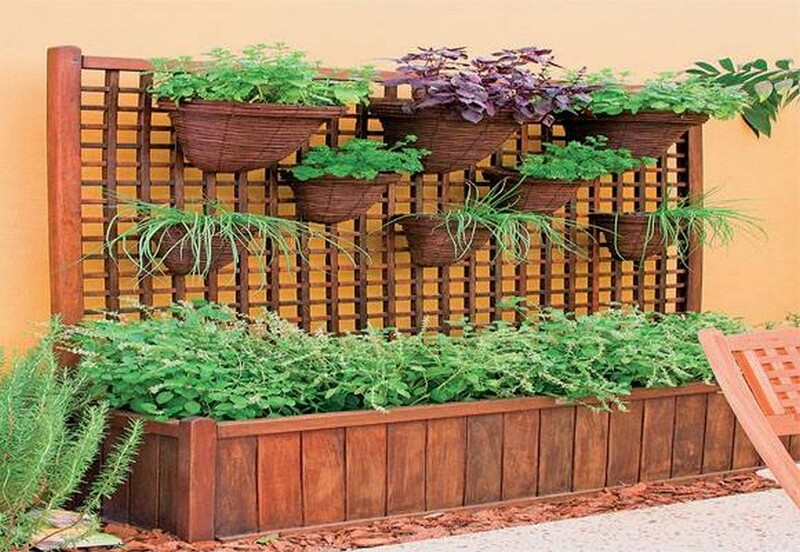 Each crate is turned into one separate unit of the planter, I think this gigantic wall is simply more than enough for your personal needs. 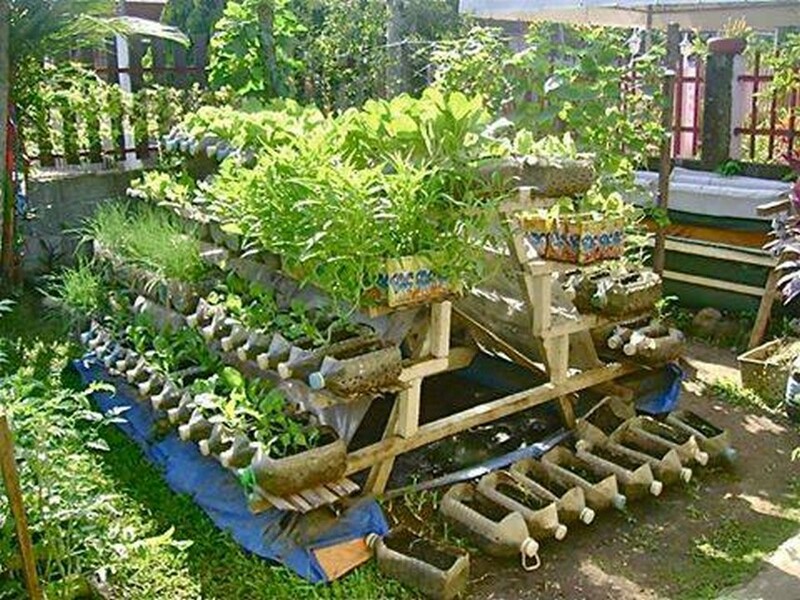 As we are rushing towards the next raised garden projects, I guess creativity is becoming soul element of the raised garden beds. This is a perfect wooden pallet bench that has got plenty of space for the plantation purpose. 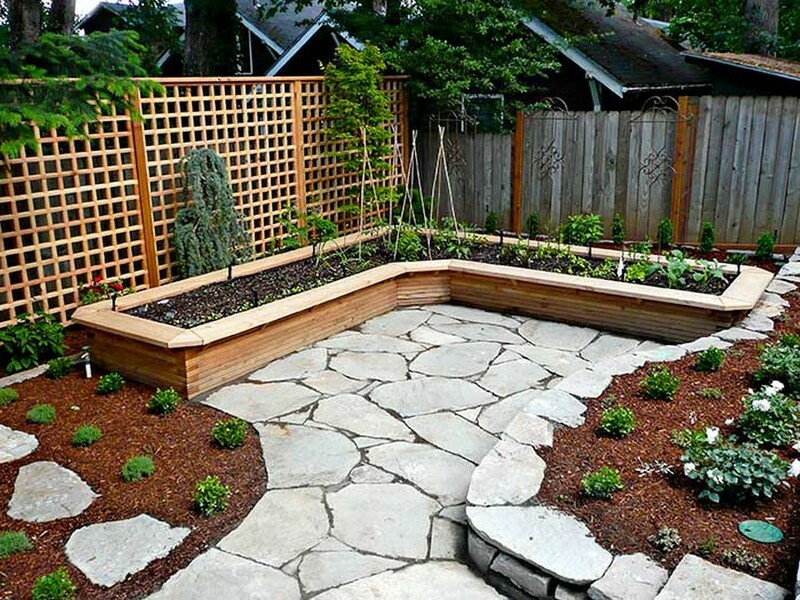 So this multi purposed garden is an ideal installation for your green landscape. Now this one was meant to be a bit excessively huge so we couldn’t sort this out with simple wood pallet planks. So we had to buy these long wooden lengths from the market, the boundary areas are made with them and silver made twisted sheets. 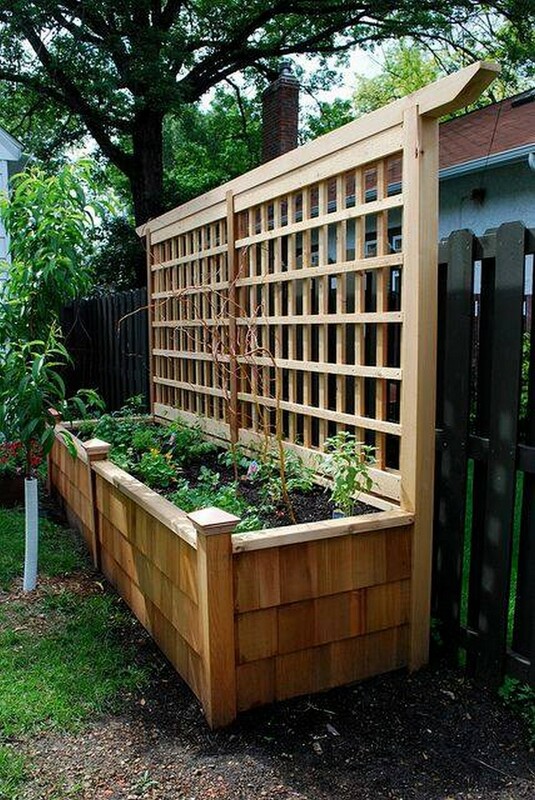 Each one of these raised wooden pallet garden beds would have been a perfect storage hack or a chest if they were meant to be made for that, but right now our concern is totally different. Select each one of them for different breeds of plants like one for herbs, one for shrubs, one for annuals and so on. Hello pallet crafters, don’t get disappointed feeling as if there is no room for you pallet wood crafts, this one is purely made with some aged shipping wood pallets that are broken and deteriorated enough. Yet they gave us an ideal piece of land for plantation. 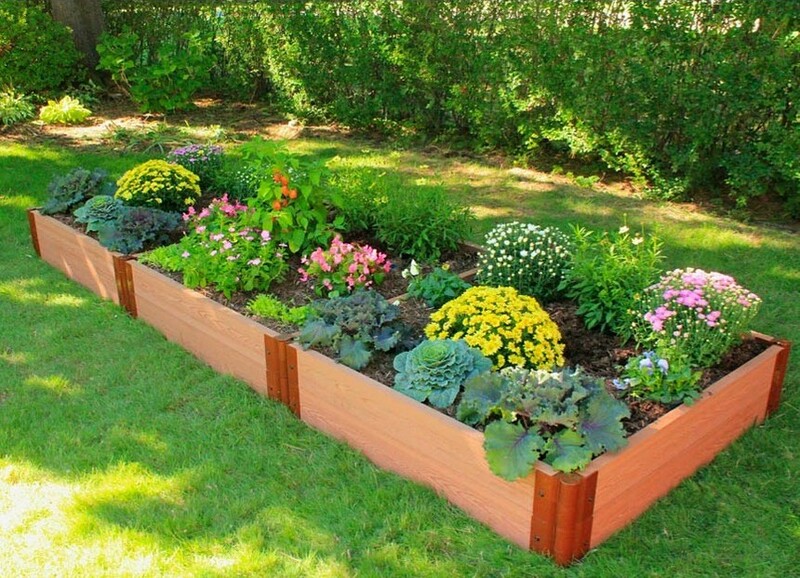 These raised garden beds seem to be more inspired from the wooden pallet planters. 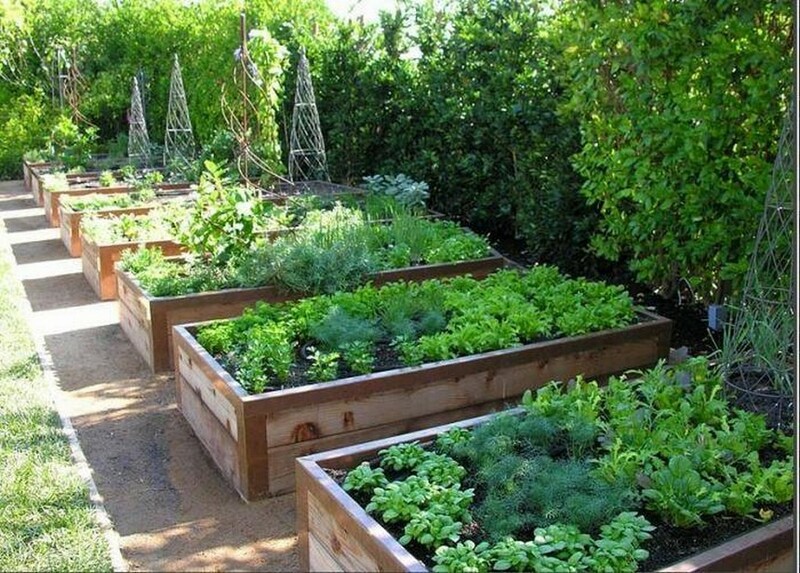 But seeing the depth and width we can safely use them as raised garden beds. Because sometimes it is all about the depth of soil and its quality so this would be an upto the mart creation. 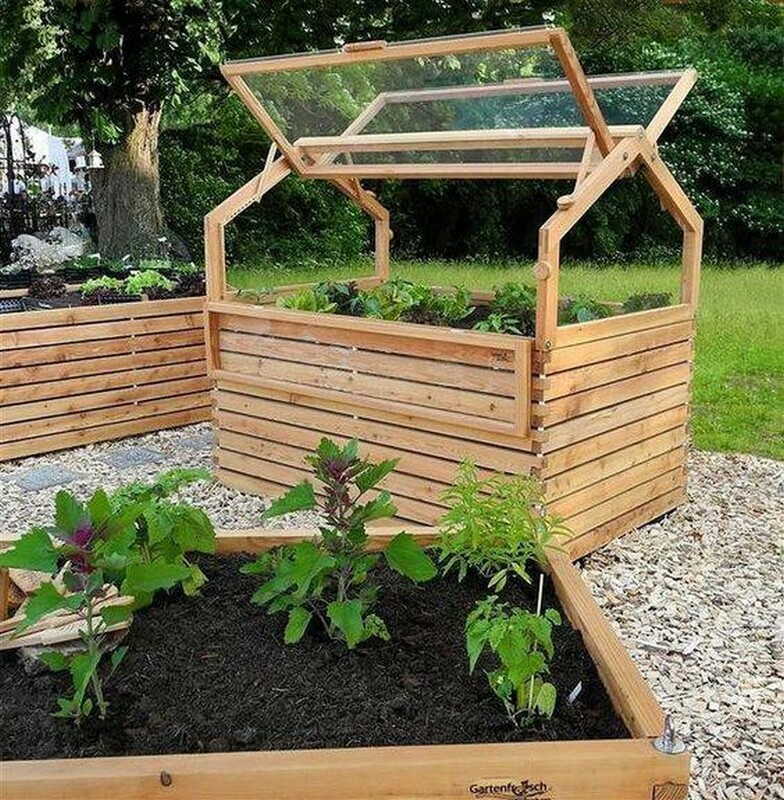 We have witnessed a sharp increase in the demand for these raised garden beds in the recent past as the people are living in some tiny areas so this gives them a full opportunity of plantation. On the other hand many plants are of the kind that can’t simply be planted along with the regular ones like annuals. Who says that the pyramids of pharaoh are invincible and can’t be built again, look at the efforts made by our smart fellow crafters. 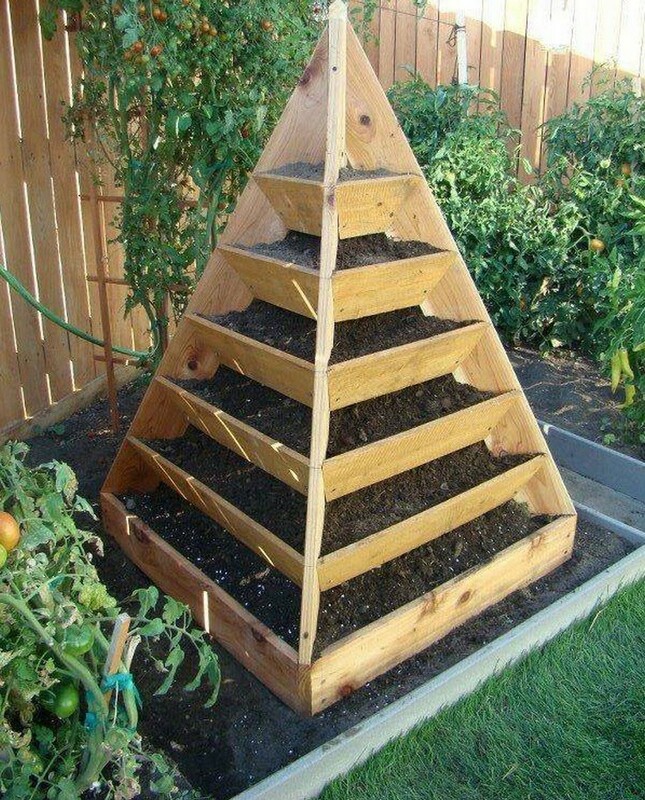 They have created this pyramid to show their flawless skill, more than a garden bed I would rank it as a perfect garden décor idea too. 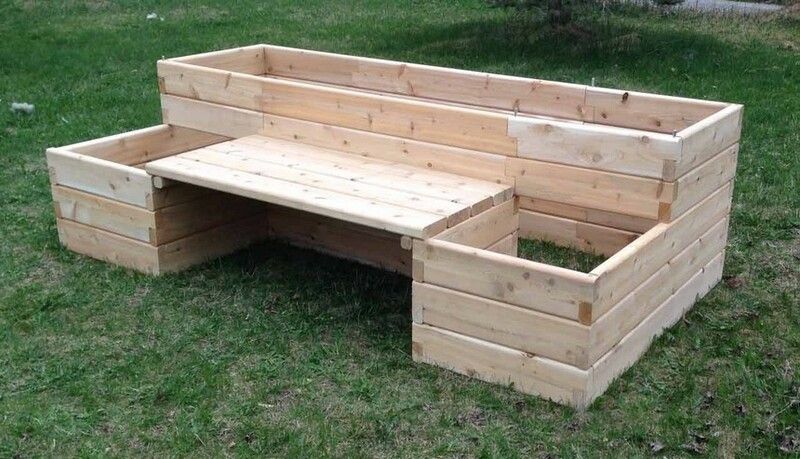 These are the ideas I name as the genius art demonstration as this was meant to be a simple raised garden bed, but just with the creativity we have added a feature that is very useful, and that is the sitting space created right in the middle as a great wooden bench. How many of you are familiar with these synthetic crates? You can get them from a grocery store in bulk against a few bucks. 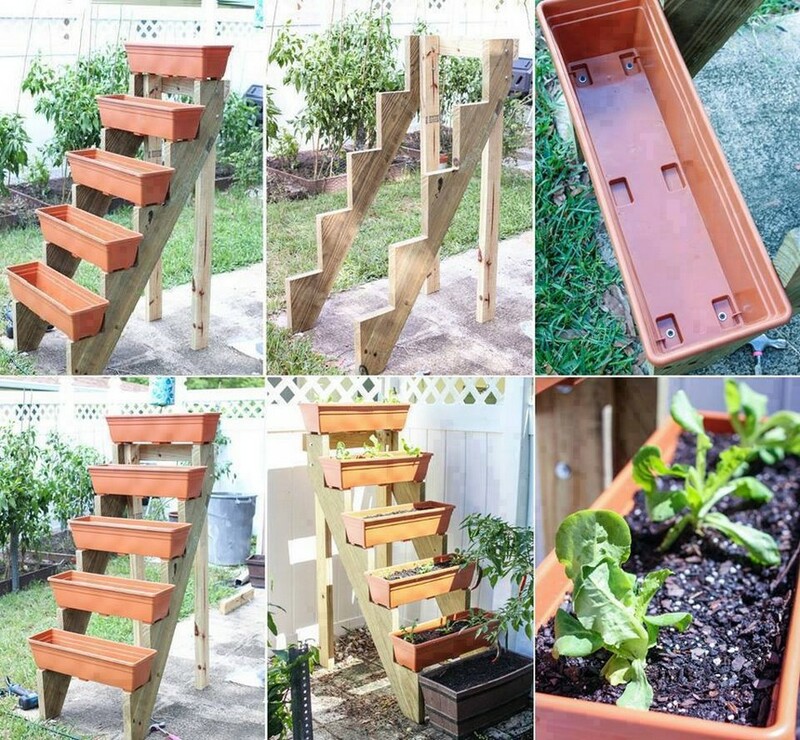 Here we simply made this ladder with wood, and then each step is covered with these synthetic crates as planters. Sometimes I just wonder and become speechless seeing this kind of miraculous creations by our very own fellow crafters. 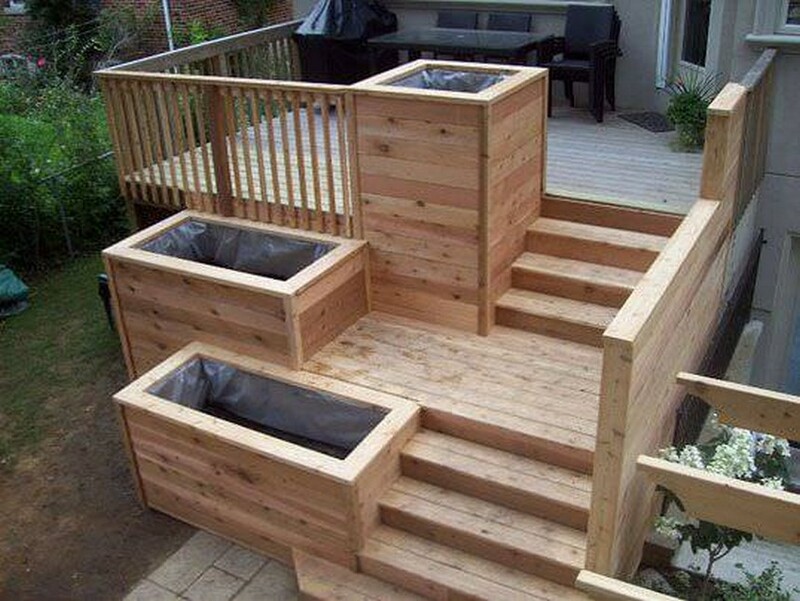 Everyone would be literally craving to have this plan installed inside his or her garden, but this isn’t that easy and simple at all. It takes guts and skill. Here we simply uprooted a whole naked patch of land from the grass, specified the area for the garden beds, used the simple wood material in making the raised gardens. 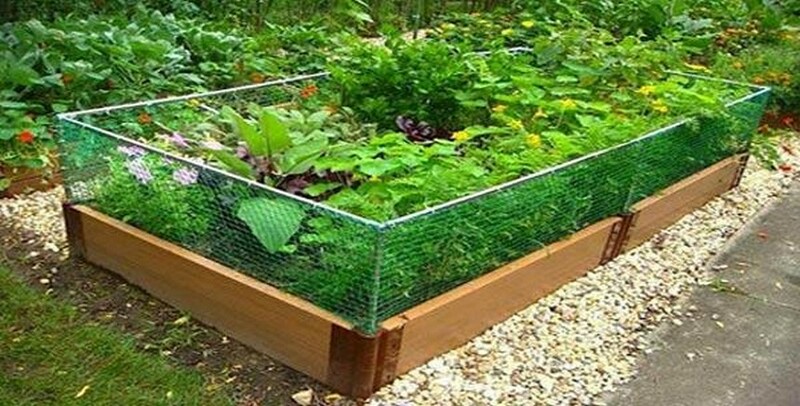 These tiny enclosures would offer you reasonably ample space to plant all the stuff that was prohibited to be planted along with other plants.